Now more than ever before, building owners have multiple choices when considering a roofing system. But, with the plethora of options that are available, picking the right type of roofing system material can be a difficult task. 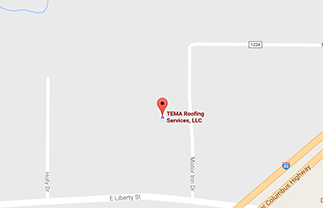 Lucky for you, we know a thing or two about commercial roofing, and, we’re here to let you know what specific roofing materials may be best suited for your building. Before you know it, you’ll be able to make your purchase and get the project rolling. Read on for info on some common types of commercial roofing materials. Before selecting your roof, you need to consider a few things. For starters, you need to have a budget in mind. Roof systems come in a range of prices, so you need to have a plan in place. You also need to consider what you want out of your roof. Some roofs do the bare minimum while others will serve you well for decades. For example, if you live in a snowy climate, you’ll need a material that can handle the elements. Will it puncture due to hail or falling debris? Is it prone to shrinking or cracking? You need to know. If you live in a warm area, snow isn’t a concern, but saving money on you air conditioning might be. Not all roofing materials offer energy savings, and some do it better than others. Knowing the basics will make conversation easier when you contact a qualified commercial roofer. By having a little background knowledge, you’ll be better prepared to understand your contractor’s quote and material suggestions. EPDM stands for ethylene propylene diene terpolymer (you can see why they abbreviate it! ), and it’s more commonly known as rubber roofing. The downside to this style is its durability. Temperatures may affect adhesives used to bond the seams, while debris or major storms (of various types — think hail) can puncture the material. While damages are fairly easy to repair, the water damage that can result from tears, cracks and holes may not be. TPO, or thermoplastic polyolefin, is similar to an EPDM roof in a couple of ways. Like the EPDM roof, ethylene propylene rubber goes into TPO, but it’s combined with polyprophylene rubber as well to give it increased durability. The product is typically installed in a fully adhered or mechanically attached system, and since the seams are heat-welded (instead of using adhesives), TPO is less prone to seam leaks (HUGE advantage). TPO reflects UV radiation, and is a great advantage for reducing utility costs in warmer climates. It’s the fastest growing commercial roofing membrane on the market today, and increased its share of the commercial roofing market by 18% in just seven years. The downside to TPO? Some manufacturers make a better product than others (this means you should rely on the expertise of your commercial roofing contractor to understand the quality (or lack thereof) of each brand). It’s still relatively new, as well, with the first system installed in 1996. PVC roofing is well-known for its durability and is comprised of two layers of PVC material with a polyester reinforcement layer added in the middle. Seams are heat welded, creating a permanent bond between each sheet, adding to the strength and walkability of this type of material. This particular material is highly resistant to environmental conditions and responds well to potential hazards like standing water, plant growth or dampness. Metal is common for low slope roof designs (think warehouses, manufacturing building, etc. ), and the panels are obviously excellent water barriers (they’re metal, remember?). The individual panels themselves can hold the weight of a person, and when properly installed, metal roofing systems can last 50+ years. Metal roofing options can increase energy efficiency, lower maintenance costs and are available in various colors. Some manufacturers are so confident in their product, in fact, that they boast a savings of up to 90% on roof maintenance costs. Sealant is used in overlapping joints to prevent water infiltration, and neoprene washers are added to the bolts that fasten panels to the rafters. A variety of looks are available, depending upon the roof design, including standing seam, batten seam, tile and curved options. Comprised of the same material used to make asphalt shingles, asphalt roofing is commonly seen on low slope roofs. This type of roof system is often one of the most cost-effective, and offers multi-layer protection. It may be easier to find qualified commercial roofing contractors to install this particular material, as well, since it is widely available and has been utilized for decades. Downsides? Asphalt doesn’t last as long as some of the other materials in the industry, issues may arise at the seams and asphalt isn’t energy efficient. Modified bitumen is a great option for your roofing because it is durable, containing a mix of asphalt, rubber-like material and other compounds. Although this type of roofing material looks like asphalt, don’t let it fool you. It is much more durable than asphalt, thanks to the rubberized technology that gives elastic properties on both sides. Some types of modified bitumen are fully torched to the fiber base while others use cold or hot mopping tar or asphalt adhesives. The surface can be smooth, mineral or foil laminate and is coated with a ceramic material to protect against sun damage. Because TPO, PVC and EPDM have become popular, contractors use this type of material less now, but bitumen may be a cheaper option to consider in comparison to the single-ply membranes that are available. Looking for More on Different Types of Roofing Systems? Now that you know what types of roofing system materials are out there, you should be more willing to take the next step toward replacement. Then, soon, you’ll be confident that you have the best roofing option for your budget and needs! Do you have more in-depth questions? Do you want to get the installation process started? Contact us today to discuss your needs and how our decades of experience can help!